Gmail, Yahoo, Hotmail are one of the most popular emails services on the web and most of the users are using these mail services. If you are one of the user who have email accounts with all these three providers and looking for a simple solution to check all these emails at one place and don’t want to open all the email service to check all you incoming emails. Here is the free app Inky, it’s a free email client and email aggregator, which pulls all your email accounts together in one place. 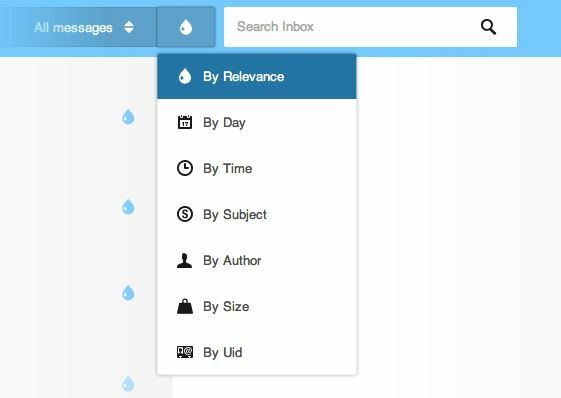 Inky also sorts your mail by relevance, letting you see your most important mail first. With the help of this email client you can all your email from Yahoo, Gmail, Hotmail or IMAP/POP account at one place, no need to login all email service to check all you incoming emails. All you have to do is download the Inky app on your Windows or Mac. The app is totally free and works fine with all Windows and MAC OS. 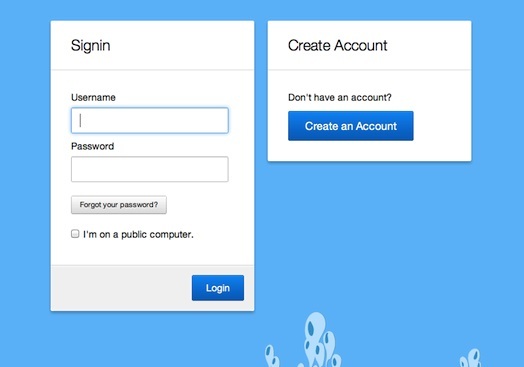 After the installation of the app on you system, it will ask you to create a free account to Inky, so you can setup all your email accounts here. Once the registration process is complete, you can add all you email account on Inky App and receive all in one place. Here you can add any of your account such As Gmail, Yahoo, Hotmail or Pop/IMAP. All you have to enter the Email and Password of the account of the email provider to get started with this free app. After the setups of all you email account on the app, you can see all the new email on your Inky screen. Also the app give you the option to sort all you incoming emails by Relevance. 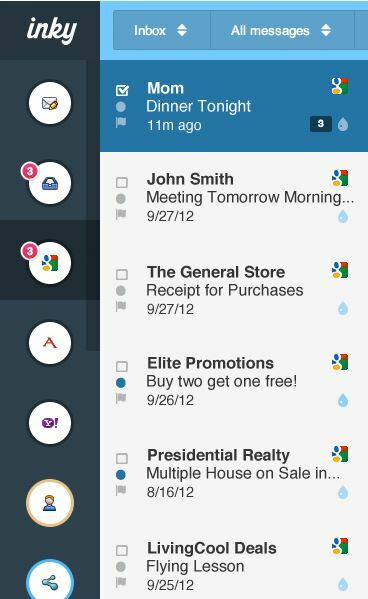 Also the incoming mails from close contacts have a vibrant blue drop and flow to the top of your message list. Less important mail and spam appears faded and flows to the bottom. Inky helps you make sure you send your email from the right accounts to the right person. Inky will suggest people to add to an email if you frequently include them in a group. Inky is the best app to send and receive emails from several different email providers at one place. I love how it can auto-complete any email address for me. i don’t have to remember anything!